Keeping your teeth and gums clean and healthy is our main priority and we will work with you to ensure that you are looking after your oral health at home and have a thorough cleaning routine in place. It is important to maintain a positive daily oral care routine to avoid future dental problems or complications from arising. Our dentists and hygienists are always happy to help you to maintain your oral health. When you attend Northway Dental Practice to see one of our dentists or dental hygienists in Maghull or Ormskirk, we will assess your teeth and provide advice around your home care routine. We will also provide treatment if required to provide extra support to teeth that may have weakened. 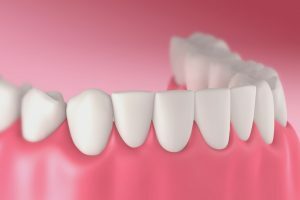 How should I be caring for my teeth? Our team of experienced hygienists at Northway Dental Practice are trained to professionally clean your teeth and gums – helping you to maintain a fresher, cleaner standard of oral health. A professional scale and polish treatment remove plaque-build up from the surface of your teeth and the gum line. If left, plaque can harden to form tartar, which is difficult to remove by traditional brushing. We recommend visiting our hygienists every six months so that they can thoroughly clean your teeth and examine your gums for any signs of inflammation or bleeding. Please click here or call 0151 526 2701 to book your hygienist appointment now.